At Neo Group, we are a family of shared values - we treasure mutual respect and care, we celebrate successes together, and we have fun while working hard. This culture of looking out for each other has ensured that our orders are communicated through efficient channels, which culminates in the smooth delivery of your buffet orders. Sports Day is held monthly to bring together our colleagues from both the corporate and operations departments, to get to know each other better over fun activities and good food. Many occasions like Chinese New Year, Dumpling Festival, Mid-autumn Festival, Durian Season, Mother’s Day and Father’s Day are marked with a special celebration over good food, just like a family would. Good food at Neo Group is a result of a recipe combining quality ingredients and a great team. There are more than 500 people behind the delicious food at your buffets – right from sourcing the ingredients, to preparing, cooking, delivery, and finally, gathering feedback to constantly innovate and improve. 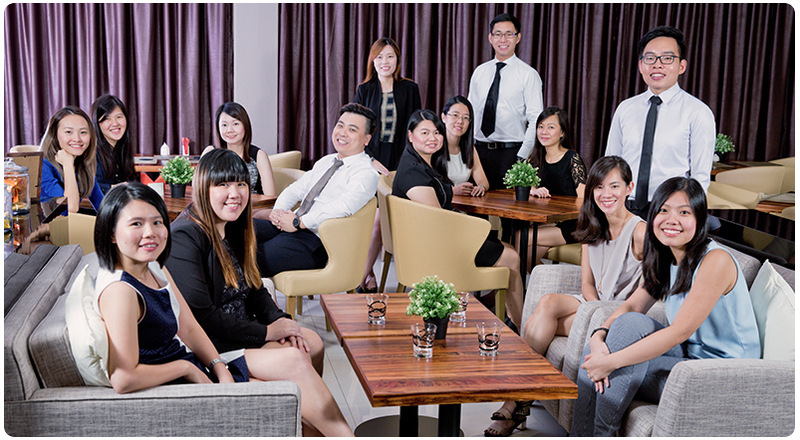 Find out more about the different touch points at Neo Garden, the heart and soul behind the scenes. Each and every staff undergoes rigorous training and one-to-one comprehensive coaching to ensure consistent quality. Staff are equipped with the knowledge to discern quality ingredients and trained to only serve up the best. Customers who have no idea on the ‘What and How-to’s of your buffet order, you will be pleased to meet our friendly catering consultants. These professionals are trained across the wide spectrum of the catering industry, from food pairing and visual appeal, down to the decoration of your buffet layout according to your event space. Known as the unsung heroes, our logistics team is possibly the strongest and most creative amongst us. 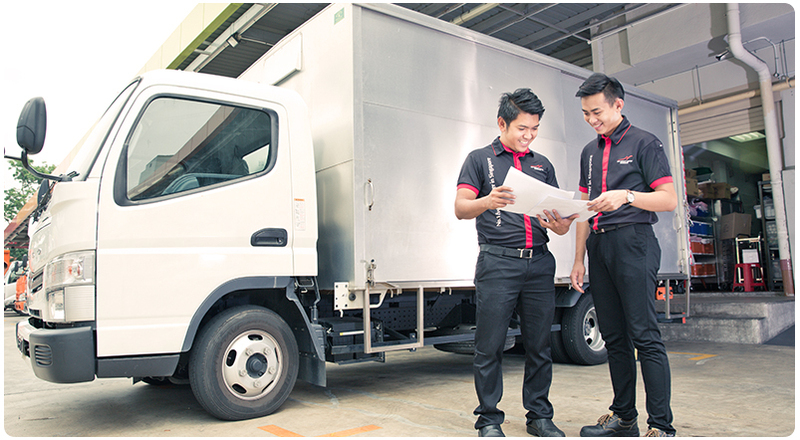 They are responsible for the timely delivery of your order, as well as the heavy logistics required in a buffet set-up. Not only will they ensure that your buffet order is perfectly positioned and arranged for your event, they will also be able to provide advice based on the available space. In our corporate departments, an efficient team of professionals from various disciplines come together to ensure smooth operations behind the scenes. Perhaps you might have met them, or their work, when you joined a contest on social media. Or maybe, when you scanned through a brochure of delicious food in your letter box. Quite possibly the heart and brain of the company, the Marketing and Business Development team strives to create the magic so that ordering your buffet for your event is easy and convenient. A common misconception people have about Finance personnel is that they are all straight-laced and serious. In work, it is most definitely true for they guard the purse strings and ensure the company’s operations remain smooth and healthy. But it definitely isn’t all work and no play for the team here, as they strike a wonderful balance between work and play with precise planning, dedication and flair. At the heart of all departments, we have our Human Resource team, who looks after our welfare and training needs across all departments and disciplines. 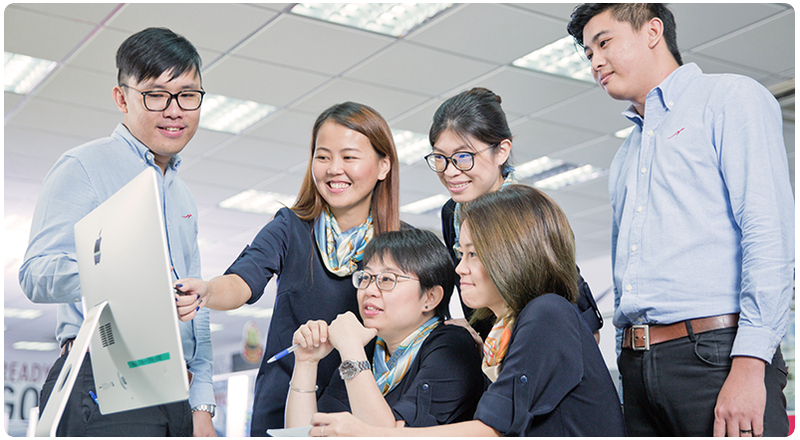 Armed with the important mission of managing and developing our talents, they are tasked to grow not only the company, but also our employees to their fullest potential.